As soon as the temperatures come back up and it's time to go riding again, I'll be upgrading my everyday riding boots to these beauties, the Dainese Women's Torque D1 Boots. With my tiny Size Euro 36 / US 6.5 feet, it's incredibly difficult to find motorcycle boots that offer real ankle protection. What this means is full lateral support, and that these boots will make it nearly impossible for your leg to bend sideways at the ankle. Hopefully it should minimize the injury to a sprain or fracture vs. the need for major surgery. 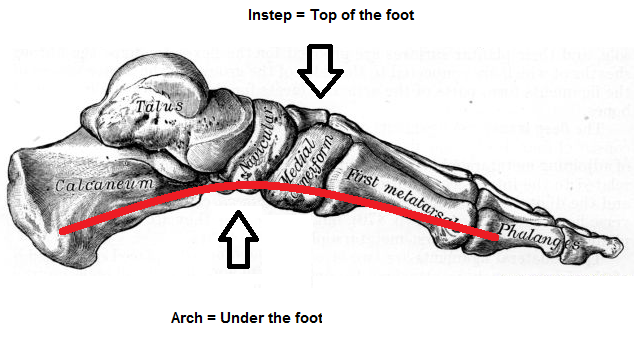 Although you can't 100% prevent every injury, you can drop it down to the best possible outcome. When I crashed last June, I got lucky when I lowsided because although my foot was pinned underneath the bike for a bit, I only walked away with a fat bruise. Every accident is different, and you have no idea what can happen to you in each circumstance. Some people wear absolutely nothing and get up without a scratch, who knows how? But then there are many riders who can't get up at all. I don't want to be one of them, and rather than gamble with the ability to walk comfortably without pain, I'd rather wear a better boot. I do *adore* my Sidis, but I have to give in to the extra protection that these offer. They're too good to pass up. I just hope they fit me as good as my Sidis do. I only got to try the 36 (barely, since my feet couldn't get into the opening!) and not the 37. I put on a 38 and definitely had enough room to add my amazing insoles. So FYI, these do run narrow especially at the instep. The opening is rather narrow. So I recommend ordering a size up unless you have narrow feet. Recently, Schuberth announced an upgrade of the popular C3W. Introducing the C3 Pro Women. Yep, that's pink. Pearl pink. Although I am not a fan of pink... I am a fan of Schuberth. Schuberth refers to this helmet as a woman's helmet. I have to somewhat disagree with that statement, because I just don't believe there is such a thing. But, I do believe that most women (~75%) wear size XXS-M. It's not often that I fit women in more than a medium. 3/18/2013: Regarding the fit for women. The whole women's project came about when Schuberth engineers discovered some research a major cosmetic company did on women's head and facial structure (in multiple countries) which concluded that (in general) women have smaller heads than men, a narrower jaw and higher, more prominent cheekbones. So the W models have a different contour in the cheekpad for that facial structure. And with the C3 Pro Women, they've made an effort to fit more women. I normally am an XS and I just can't wear one in that size comfortably. I have to wear a S. Something about the shape is really uncomfortable on my forehead and sits up too high. This is based on the C3W, not the pro version. Hopefully I'll be able to test one out next month for Schuberth. I'm looking forward to especially testing one of the 'quietest helmets in the world'. I'll also get to test out their SRC audio system which is made by Cardo. So if you ride with anyone who has a Cardo system, you can connect with them too. 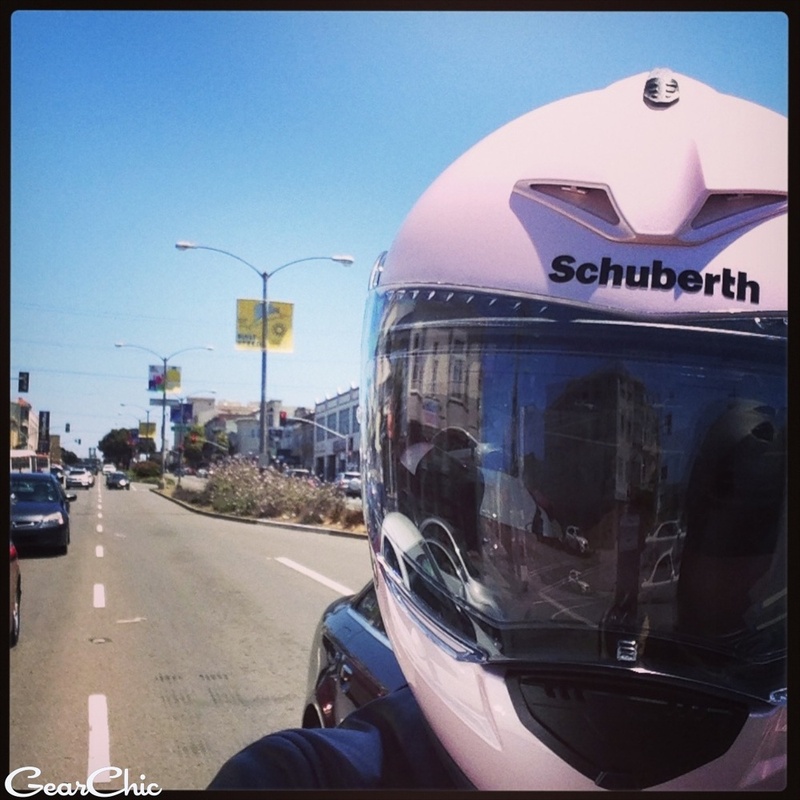 And regarding the offering of pink as a color, Schuberth made it in response to customer demands. I would love to know how many of these women are riders v. passengers, because I've only met a couple of women that wanted a pink helmet..... hmmmm. If you are considering a modular or flip up helmet, you can't go wrong with anything in the C3 series. They've been making modulars for a really long time and have made what many people consider to be the best one out there. mobility program; replace a damaged, registered DOT/ECE helmet at 1/3 of retail. click here for details. 1650 grams / 3.63 lbs. Full specs on Schuberth's website.